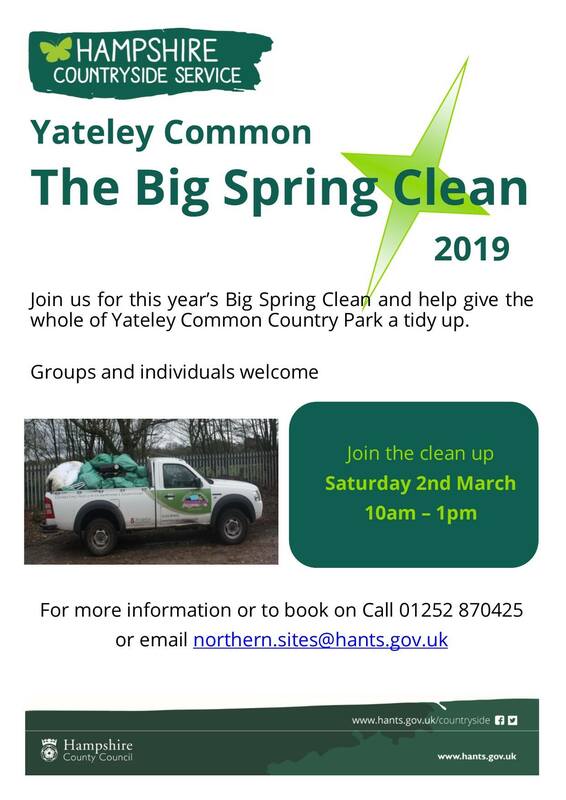 Join Hampshire Countryside Service at Yateley Common on 2nd March 2019 for the Big Spring Clean. A great way to get involved in the community and help improve the environment on your doorstep! 10am – 1pm. Litter pickers provided. Several meeting points available in order to cover as much of Yateley Common as possible, so please contact the team for more information or to sign up. Tel: 01252 870425, Email: northern.sites@hants.gov.uk.